We can’t believe it’s finally here! 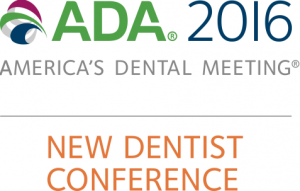 Welcome to Denver and the New Dentist Conference at ADA 2016. Today’s a big day with a complete schedule filled with exclusive CE, social events and more. Remember to grab your badge and check today’s weather before you head out the door. We hope your first day rocks, and we want to hear all about it on social media. Share your photos using #ADADEN and see your posts live on screens throughout the convention center – you’re basically famous! Download the mobile app for the most updated information, New Dentist Conference schedule, and more. Make sure to complete the “New Dentist Conference Survey” in the app to receive a free drink at the Happy Hour (and 1/2) in the New Dentist Lounge on Friday. 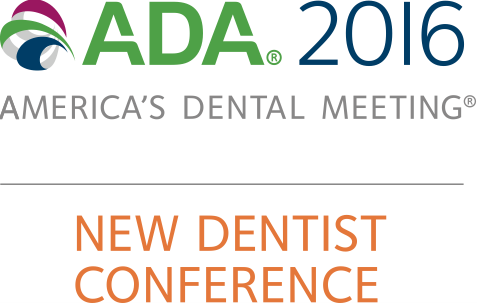 Enjoy a complimentary breakfast to kick-off the meeting in the New Dentist Lounge on Thursday morning at 7 a.m. before attending the Opening General Session. The Colorado New Dentist Committee welcomes you to Denver! Make sure to explore the city using personal recommendations provided by each Committee member. Plan to attend a Campfire Session, a continued conversation in a small, informal group. Check the app for more detailed information. Friday’s topics are decided by you! Vote for your favorite topics by Thursday at 2 p.m. Then, stop by the New Dentist Lounge on Friday to join your choice of conversation throughout the day. Receive a professional head shot. Visit the head shot lounge in the Social Media and Office Productivity Zone and have an executive portrait taken by professionals – for free! Hair and makeup stylists will be available for touch-ups. Friday, October 21, 9 a.m.-4:30 p.m.
Saturday, October 22, 9 a.m.-3 p.m.